Our body constantly communicates with the brain in which it sends and receives messages from the brain. The communication of the brain with all the body parts is possible due to the nervous system. The nervous system of humans consists of the brain, spinal cord, and complex network of nerves that spread across the whole body. The reason behind calling the brain and spinal cord as the central nervous system is because it influences and coordinates all the activities performed by different body parts. The brain is enclosed in the skull of our body where it is protected. The spinal cord continues from the brain and goes down to the body and is protected by the vertebrae. 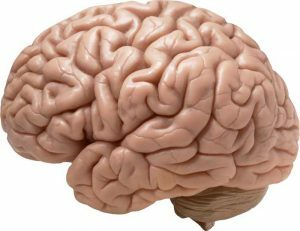 Check-out the most interesting facts about the brain. 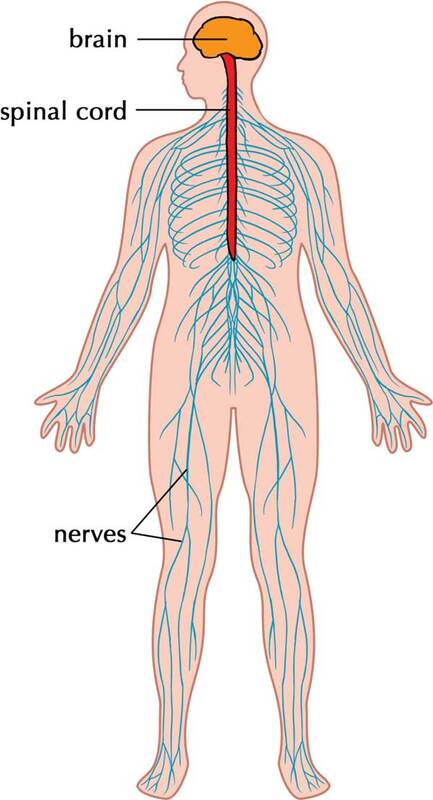 Peripheral nervous system mainly consists of nerves that connect the limbs and organs of the human body to central nervous system. Nerves are somewhat similar to electrical wires; they allow signals to flow between the body and the brain. Unlike spinal cord which is protected by the vertebral column, nerves are unprotected; they can be damaged by toxins and minor injuries. Our body has mainly two types of nerves that differ in function. These nerves are sensory nerves and motor nerves. Motor Nerves – These nerves are connected with the muscles of our body. They carry messages about the contraction and expansion of the muscles from the brain for movement. We are able to move our arms and legs because of this type of nerves. How Signals Travel Through Nerves? Nerves in our body are made of neurons; these are the cells that carry electrical impulses to transmit the message. Electrical impulses travel from neuron to neuron in a nerve until it reaches its destination. 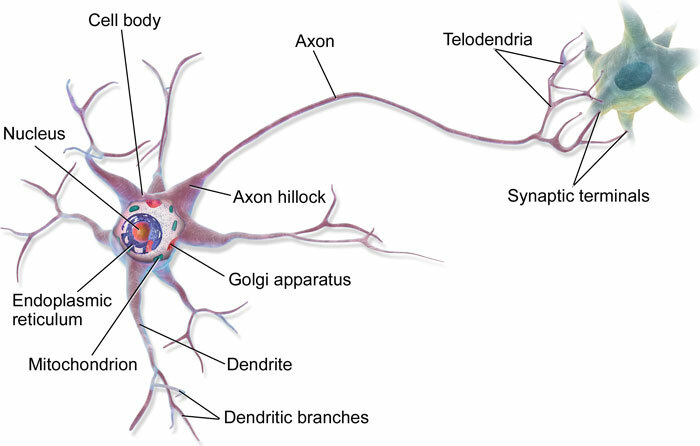 There are three most important parts of a neuron; the cell body, axons, and dendrites. When two nerves connect, they form a junction called synapse. Neurons communicate with each other at synapses by ejecting a chemical, called neurotransmitter. Signal to move a muscle in the human body can travel at a speed of 250-380 kilometers per hours. It is estimated that an average sized human contains 100 billion neurons in its brain. The spinal cord in our body contains more than 13.5 million neurons. Our brain also contains glial cells which support the neurons, and their number is the same as that of neurons – 100 billion. Abdul Wahab, "Nervous System," in Science4Fun, April 12, 2019, http://science4fun.info/nervous-system/.